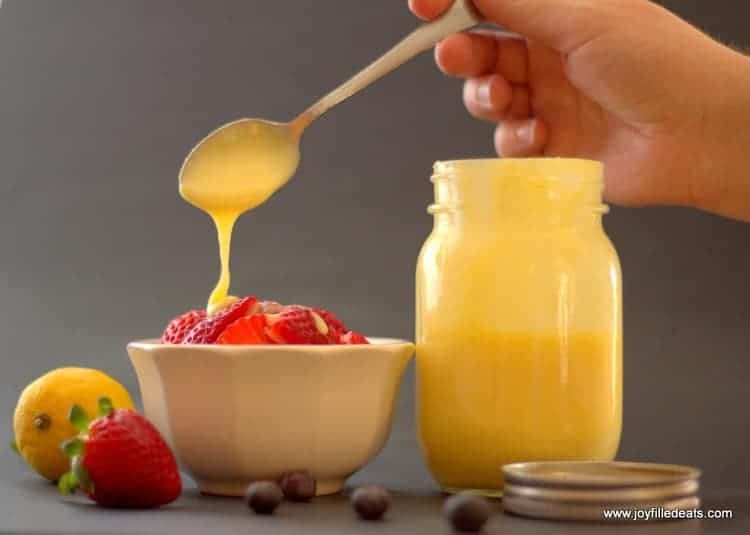 This Creamy Lemon Dessert Sauce is divine drizzled on berries, ice cream, or pound cake. Or just with a spoon. I try to keep a jar in the fridge at all times. Although I love real fresh squeezed lemonade (I used to get it on the boardwalk as a treat) I was never a huge lemon dessert fan. 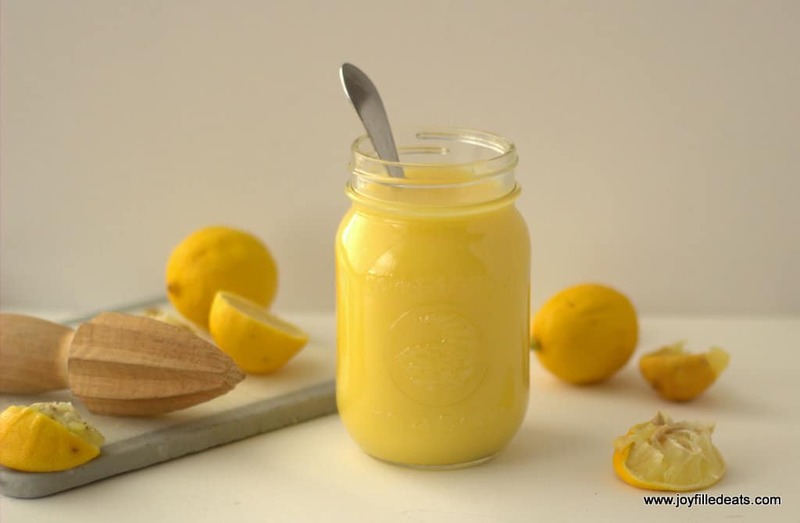 That changed when I made lemon curd for the first time four or five years ago. I made these teeny tiny lemon tarts for my sister-in-law’s baby shower. They were adorable and they were delicious. Lemon has grown on me since then. 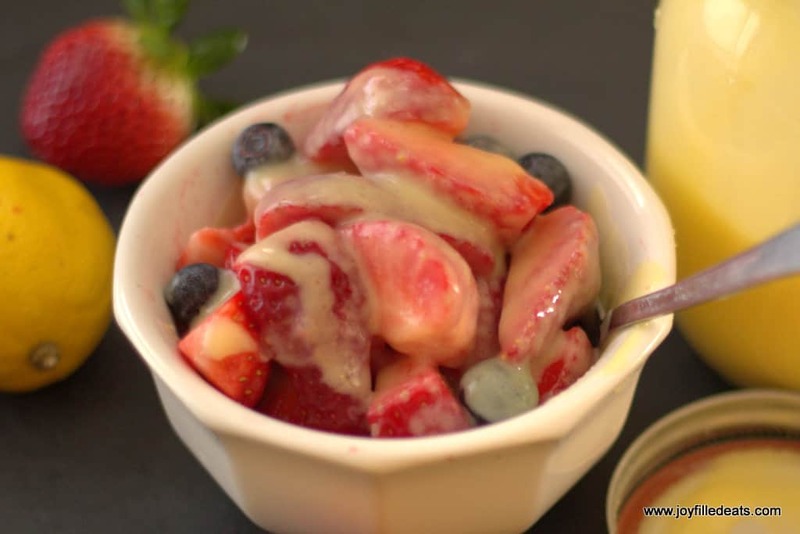 This Creamy Lemon Dessert Sauce is amazing on berries. That bowl of strawberries a few pictures down was my afternoon snack today. I ate half of them and then put the bowl in the fridge but I couldn’t stop thinking about them. I went back half an hour later and ate the rest. I bet it would also be amazing on ice cream or pound cake. 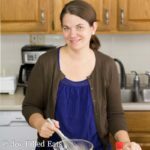 This dessert sauce is low carb, sugar free, gluten free, grain free, and a THM S.
Cook the first three ingredients in a small saucepan over medium low heat until slightly thickened. 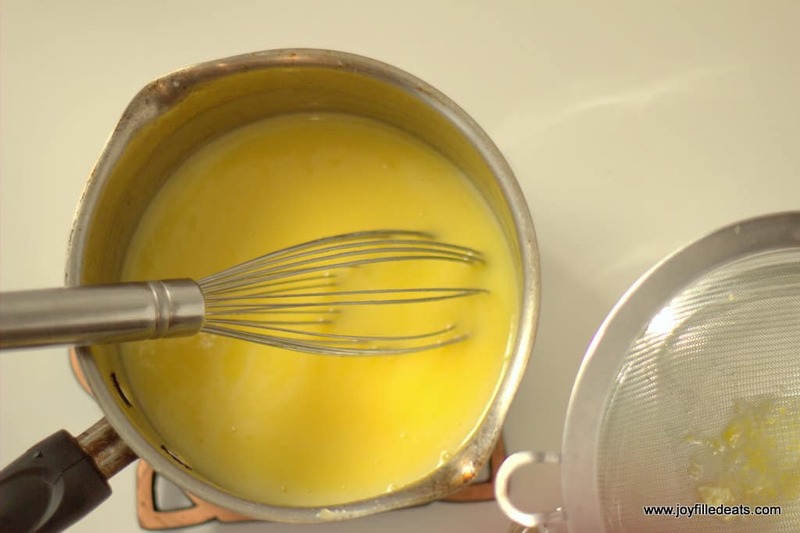 Put the egg yolks into a medium sized heatproof bowl or measuring cup. While whisking the yolks very slowly pour half of the sauce into the egg yolks. This slowly warms the yolks so they don’t curdle. Now, slowly whisk the yolk mixture and sauce back into the saucepan. Cook over medium low until it is thick enough to coat the back of a spoon. Whisk in the lemon juice. Strain through a fine mesh sieve into a glass jar and store in the fridge. I think this would make a great base for lemon ice cream. So you use a vanilla protein powder?? If so what product do you buy?? I don't normally use protein powder. My husband uses plain whey protein powder sometimes.